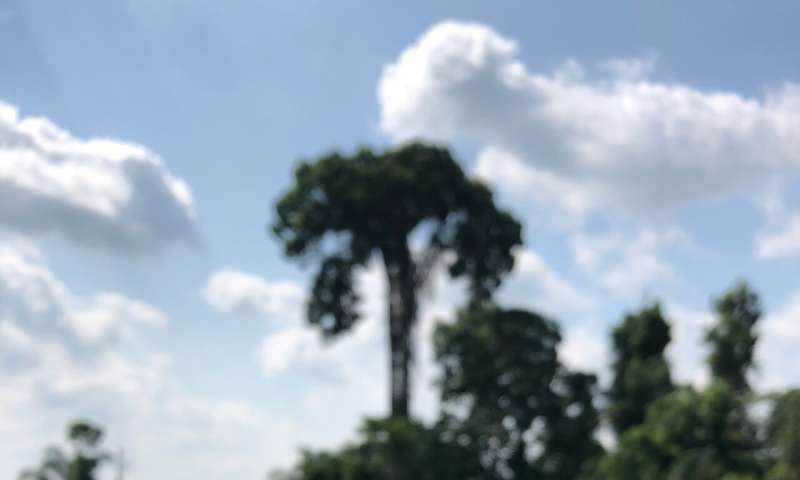 Until recently, forests in the Amazon Basin have often been argued to be "pristine" or the site of only small-scale human occupation and use prior to the arrival of European explorers in the 16th century. However, recent archaeobotanical, archaeological, palaeoenvironmental, and ecological research has highlighted extensive and diverse evidence for plant domestication, plant dispersal, forest management, and landscape alteration by pre-Columbian societies. "The results of this study demonstrate that Brazil nut tree growth reflects human occupation intensity and management. This is one more step to understanding the crucial interactions that led the Amazon forest to be the dynamic, humanized landscape it is today", says Victor Caetano Andrade, lead author of the study, of the Max Planck Institute for the Science of Human History. Recently, dendroecological studies have emerged as a promising avenue for the investigation of changes in the environment in tropical forests. These studies evaluate the rings formed annually in some tree species to obtain information on their age and annual growth, as is the case with the Brazil nut tree. Patterns of establishment and abrupt changes in tree growth, which are visible in a tree's rings, provide insights into past local environmental conditions. In the current study, the researchers worked in an area of Central Amazonia near Manaus with high Brazil nut tree density, known locally as castanhais. Through non-destructive sampling, in which small samples are removed from the bark to the center of the trees, they compared tree-ring data from cores of 67 trees with the available historical information on the political, economic, and human demographic changes in the region over the last 400 years. 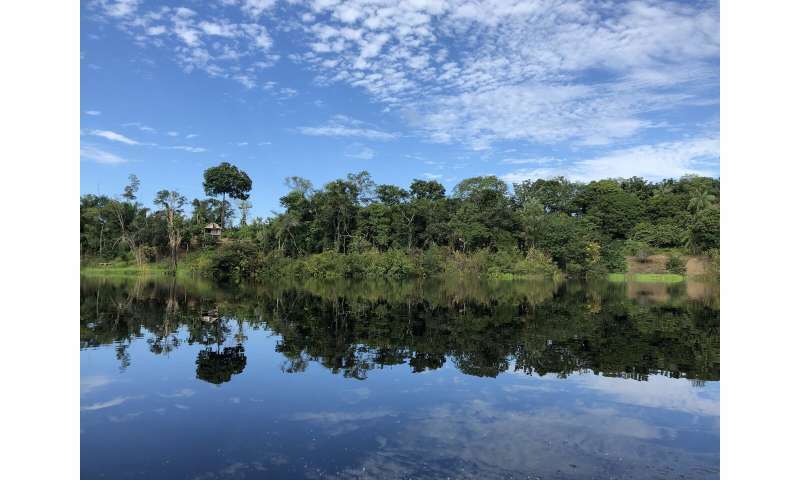 Understanding how forest management has changed following the arrival of European colonists and the rise of industrial powers over the course of the past centuries has implications for the future of sustainable forestry and conservation in Amazonia. 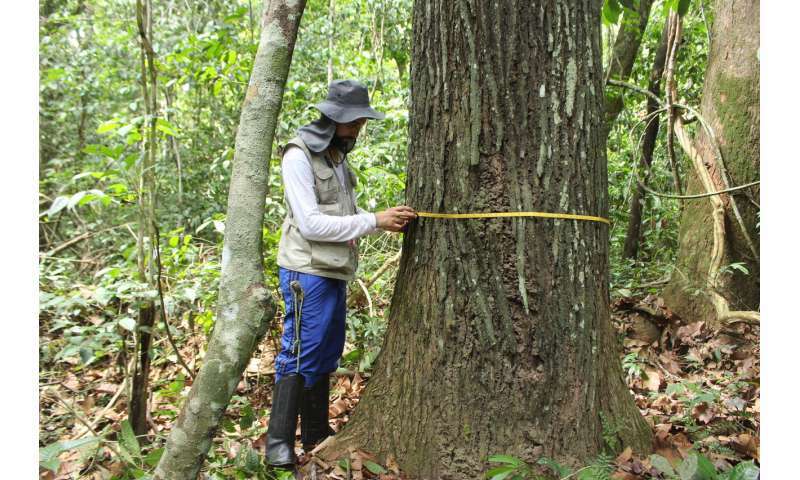 "Our findings shed light on how past histories of human-forest interactions can be revealed by the growth rings of trees in Amazonia," explains Caetano Andrade. "Future interdisciplinary analysis of these trees, including the use of genetics and isotopes, should enable more detailed investigations into how human forest management has changed in this part of the world, through pre-colonial, colonial, and industrial periods of human activity, with potential implications for conservation."